Steve Thacker, 63, is a Norfolk boy at heart. Now a managing director in Dereham, Steve used to work for the Norfolk Police and so moved around the area a lot. He’s lived in Thetford, Diss, Norwich and Kings Lynn to name a few places, but the North Norfolk area remains his favourite. 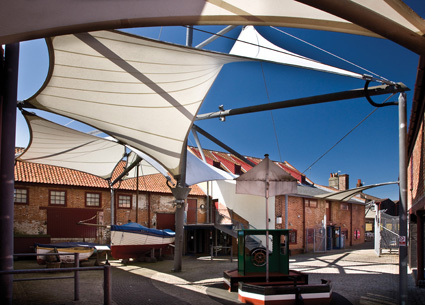 In particular, he enjoys the many day trips and museums North Norfolk has to offer. “The Bressingham Steam Museum is great fun and holds the Dads Army Appreciation Society’s collection, which includes some of the vehicles used in the show and a recreation of the sets. “If you’re into trains, take a trip on Bure Valley Railway narrow gauge trains from Aylsham to Wroxham, which is a brilliant day out. One museum which Steve regularly visits, is the Time and Tide Museum in Great Yarmouth, which he went round again recently with his wife and sister-in-law. “I’ve always known about it, but I first visited about four years ago as lots of my friends kept telling me how good it was. They were right – it’s a jewel in Great Yarmouth’s crown. It’s tucked away in a back street by the Old Town Walls and is on the site of the old Tower Fish Curing works. 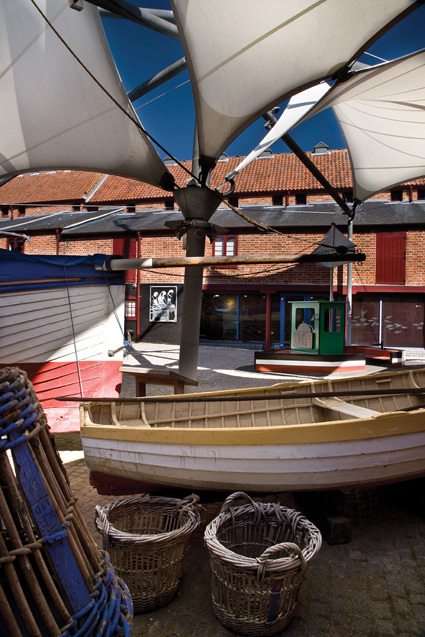 “The museum details the history of Great Yarmouth, with information about its fishing and maritime heritage, plus stories of the people who worked in those industries. They’ve recreated a Victorian street, a fisherman’s house and a 1950s fishing dock with the sounds and smells that would’ve been there, so you can get a feel for what it would’ve been like back then. They also have a mock-up of a wheelhouse from a steam drifter – not high tech but super for oldies who like to pretend they’re still young. The museum also catalogues the effect WW2 had on the Great Yarmouth area, which Steve found particularly eye opening. “I learnt quite a lot about how the war affected the local area. I didn’t realise that per head of population Yarmouth was bombed more in the Second World War that any other UK town. 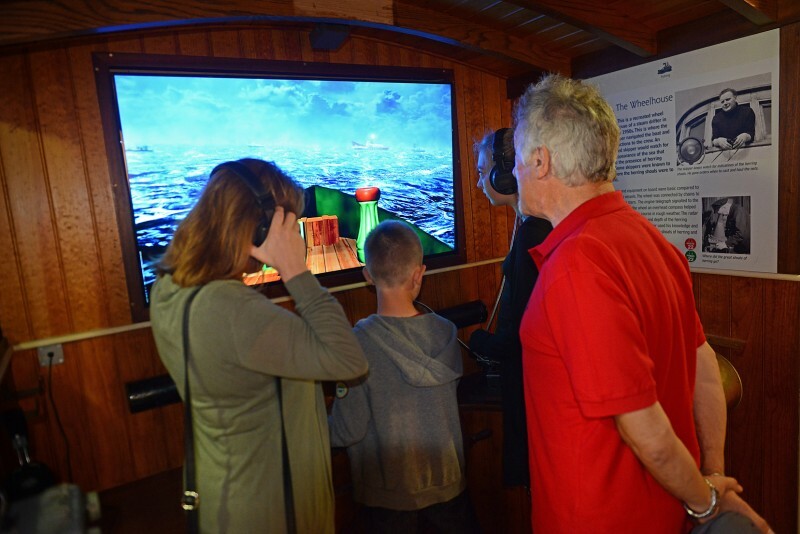 You can sit and watch newsreel footage and short videos that make the stories come alive. Steve especially enjoyed the more interactive elements of the museum, which he thinks would be great for children. Steve would happily recommend the museum to others and was especially impressed with the staff and facilities. “The staff are delightful and very helpful, plus everywhere was very clean. They also have a brilliant Italian café with the best cake and coffee. 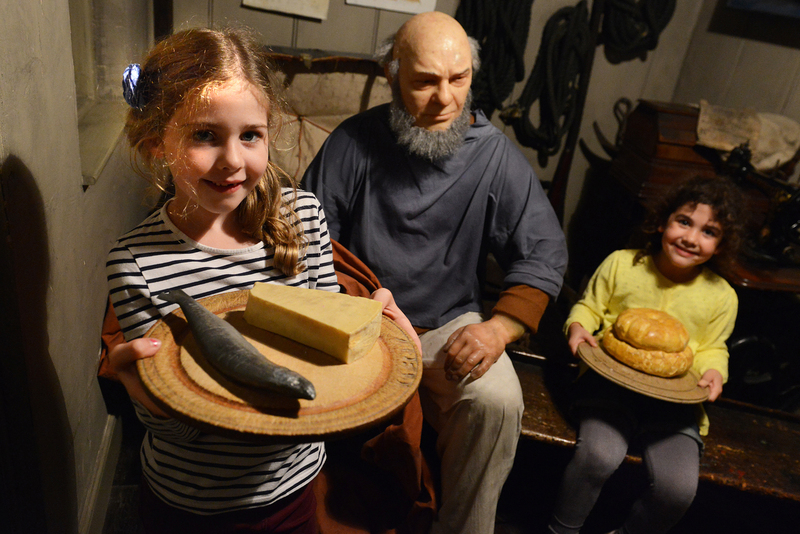 Entry to the museum ranges from £4.70 for children to £5.30 for adults. There are numerous car parks in the area and one right opposite the museum. 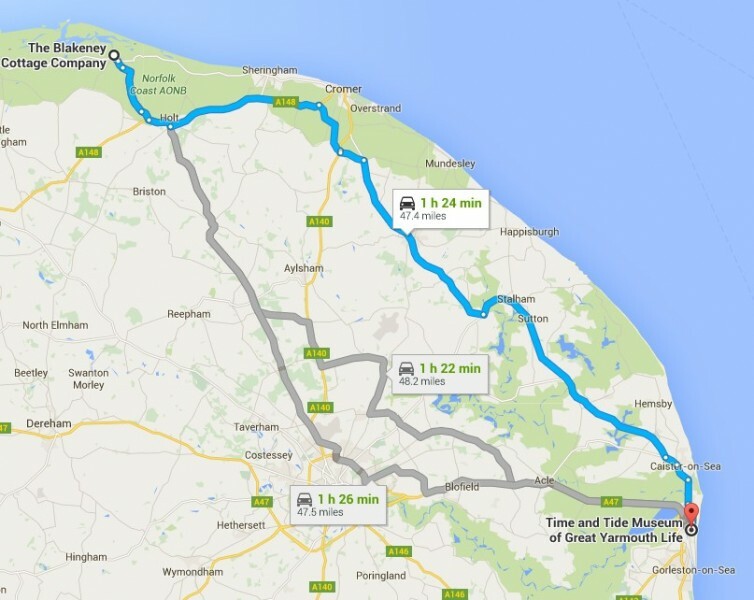 The Time and Tide museum is 1 hour 34 minute drive from the Blakeney Cottage Company HQ in Blakeney.